Operate voice and data, reliably over a single connection. Eliminate legacy ISDN lines, reduce costs and transition to IP Telephony simply. Reduce costs, save time and eliminate complexity. Reliable high quality IP Telephony and business grade Internet Access over a single circuit. Wide choice of access services including FTTC, EFM and Ethernet up to 1 Gbps to suit small businesses to large organisations. Find out how Converged Broadband from Columbus can boost your business. Call us on 0333 240 7755 and speak to a Columbus Broadband expert for further details. Running telephone lines and broadband separately? Converge voice and data on one connection using a Converged Broadband solution. Consolidate services, increase flexibility, eliminate traditional line charges, reduce call costs. Converged Broadband from Columbus gives businesses the ability to consolidate Internet access and IP telephony over one reliable, high performance connection. There are various access types and versions of the service available to suit business of all sizes including Converged Broadband (1-10 lines), Converged FTTC Fibre Broadband (1-30 lines) and Converged EFM and Converged Ethernet for requirements where 30 lines or more are required. With Converged Broadband you only need buy one product to cover your voice and data requirements. This allows you to eliminate legacy and costly ISDN lines, helps you work more flexibly and simplifies service management as you benefit from a single accountable supplier, reduced operating costs and a single point of contact which also save you time and hassle. Is Converged Broadband right for my business? Converged Broadband is supported and monitored 24×7 to ensure consistent and reliable performance. We also provide and manage the Cisco hardware to ensure it is running optimally at all times. Converged Broadband services are also protected by our comprehensive service level agreement which covers delivery, performance, availability and time to fix which provides peace of mind and lets you focus on your core competencies. Converged Broadband is designed with performance in mind, providing fast, low latency Internet access which is dedicated and uncontended for EFM and Ethernet services. Speeds of up to 1 Gbps can be provided in both directions. There’s no need to run Internet and telephone lines separately nowadays. Convergence gives you the opportunity to reduce operating costs, improve service performance and reliability along with increased flexibility. Best of all you don’t need to deal with multiple suppliers and points of contact so it saves you a lot of time on a day-to-day basis. Converged Broadband helps business consolidate line and telephony services whilst eliminating the cost of traditional lines such as ISDN30. Converged Broadband gives businesses the opportunity to embrace IP telephony providing more flexibility, the ability to extend business communications to remote workers and reduce call costs across multiple offices. Converged Broadband provides high quality internet and IP telephony access on a single broadband connection, from a single supplier, and backed up by an exceptional, UK-based support team. A percentage of the available bandwidth on each connection is partitioned for voice calls using Columbus provided Cisco managed hardware ensuring a protected, high quality and reliable voice service. What is the difference between the Converged Broadband product access types? Columbus uses various broadband access types tailored to suit the needs of each business depending upon demand and the number of users which need to be supported. Converged Broadband uses ADSL, FTTC, EFM and Ethernet services to deliver the number of channels and Internet access suitable for any business requirement regardless of size. This is determined during our pre-sales consultation, site survey and proposal stages to ensure we deliver a service which meets your business needs exactly and provides options to scale up whenever you require it. How is Converged Broadband being utilised by existing customers? To meet the increasing demand for bandwidth and to give them the right platform to support new systems and applications in the cloud including IP voice, Hosted Phone Systems and SIP Trunks. To replace legacy services such as SDSL, Bonded DSL and Leased Lines with high performance, cost-effective and reliable alternatives. To provide a single supplier to support the end-to-end delivery of IP telephony and Internet access where ISDN is too expensive and offers little flexibility in terms of telephone numbering, scaling or Disaster Recovery. To give businesses with limited budgets the benefits of high-end connectivity such as Fibre Ethernet using affordable Fibre to the Cabinet (FTTC) and non-fibre Ethernet in the First Mile (EFM). 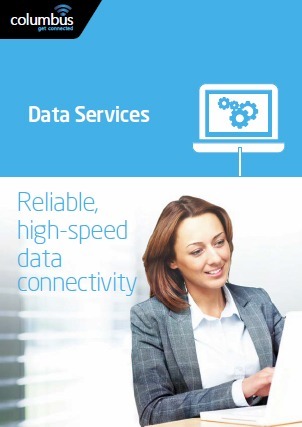 Find out how Converged Broadband can benefit your business. Call us on 0333 240 7755. Let's go!